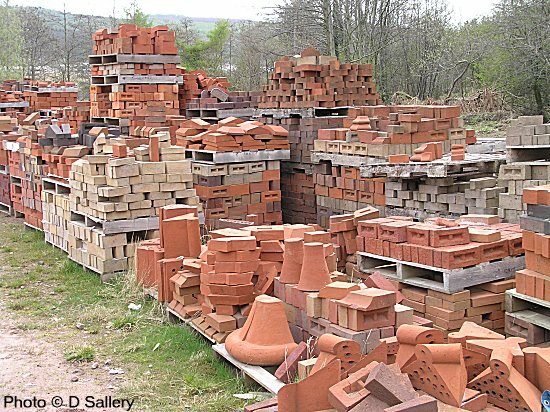 This company specialise in hand made bricks, website here. 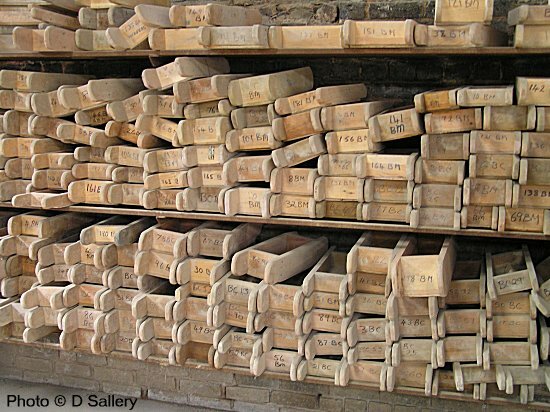 Because of the vast number of wooden moulds they hold, their proud boast is they can make a copy of any brick. This is especially useful in the housing restoration industry. 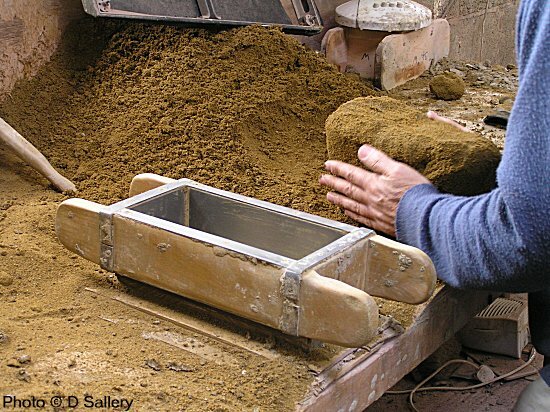 Clay, the raw material, is dug out twice a year from a nearby pit. 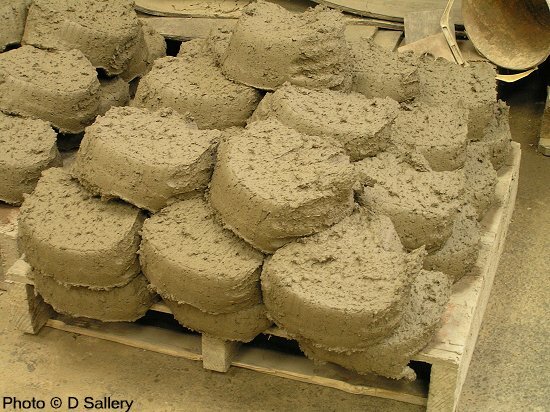 preparing the clay for the mould. 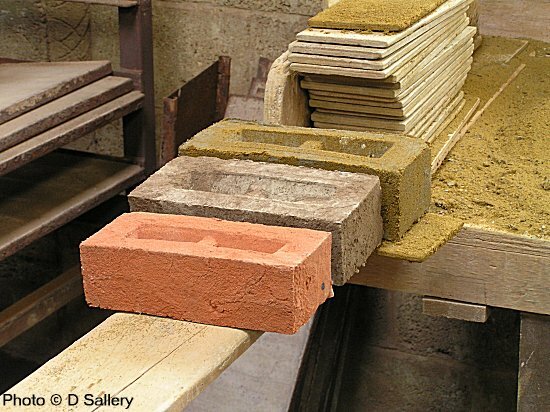 The colour of the brick is determined by the coating of sand. The three stages of a brick - raw, dried and baked. Note the amount of shrinkage which occurs. Some of the wooden moulds. A selection of finished products.